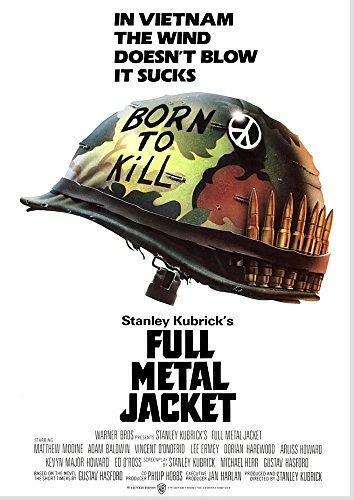 "Full Metal Jacket" (I Wanna Be Your Drill Instructor)"
Now here is one of those forgotten hits of the 80s which is rarely played these days, despite reaching No.2 in the UK charts. It's an unusual record (with no video) that was a surprise hit, and during my research, I discovered there was actually very little info about the song on the web. 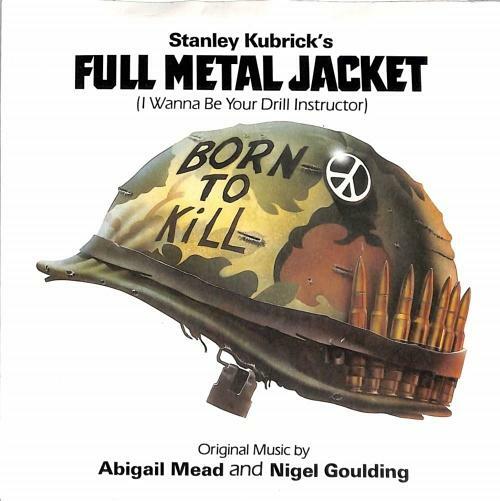 The single "I Wanna Be Your Drill Instructor" was released shortly after the film and featured as track 1 on the Full Metal Jacket soundtrack album, alongside a number of hits from the 1960s and other tracks composed by Abigail Mead. The single is also credited to the actor Nigel Goulding and uses snippets of the drill cadences by foul-mouthed Gunnery Sergeant Hartman (played by R. Lee Ermey), played against a hip hop style groove. The single entered the UK singles chart at No.33 on 20th September 1987, making it the second highest new entry that week behind Michael Jackson's "Bad". It reached No.2 on 4th October for two weeks, being held off the top spot by M/A/R/R/S "Pump Up The Volume" and then "You Win Again" by The Bee Gees. 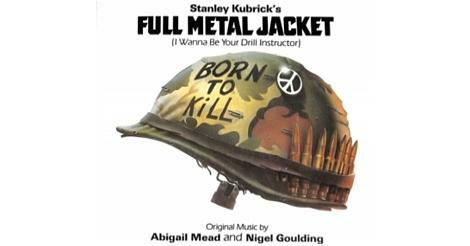 The director of the movie, Stanley Kubrick, had initially intended to use Japanese drum compositions for the soundtrack album. However, his daughter, Vivian, was on the set of the film playing a news camera woman at the mass grave, and she was also making a documentary. She played him a synth track she had composed and he decided to allow her to compose the entire movie score, using the pen name Abigail Mead. The soundtrack was composed on a series III Fairlight CMI synthesizer and a Synclavier.